Police are asking for the public's help in finding an autistic teenager who wandered away from his Clarksburg, Maryland, neighborhood Saturday around 6 p.m. after having a disagreement with his family. 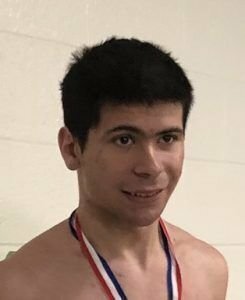 WASHINGTON — Police have found the autistic teenager who wandered away from his Clarksburg, Maryland, neighborhood Saturday after having a disagreement with his family. Josh Cubert was located by police in Black Hills Park at 7 p.m. on Sunday. Police say he will be reunited with his family after being evaluated by medical personnel. Police and family have thanked the public and media for their assistance. Capt. Paul Starks with Montgomery County police had described 19-year-old Josh Cubert as about 6 feet tall, 145 pounds with brown eyes and hair. Starks said he could have been wearing a dark-green T-shirt and black jeans. Josh Cubert, 19, is about 6 feet tall, 145 pounds with brown eyes and brown hair. He could be wearing a dark-green T-shirt and black jeans. “His family says he is high-functioning and very intelligent. They’re very worried about him. He hasn’t disappeared like this overnight before,” said Starks. The teen’s family said that he does not take public transportation and gets around on foot. On Sunday, police and volunteers were searching for the teen in his Clarksburg neighborhood. They were knocking on doors and handing out informational flyers, hoping to find the teen safe and able to return back to his family.